Toward the end of July, Puff and I packed the car up again (but with a little bit less stuff... we learned after Florida HERE) and headed back to The Fort. 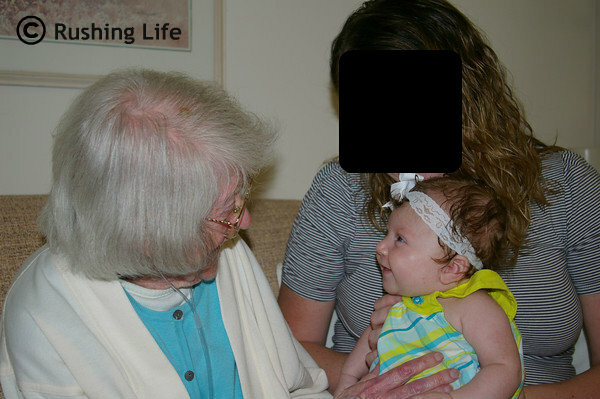 It was time to introduce Bimmer to her great grandmothers and my aunts and cousins. And my lifelong friends too. There are just so many people that love our little girl. She's so blessed! And spoiled! Our first order of business was to try out Mamaw and Papaw's pool and go swimming for the first time! It was sad that Puff had continued on to the Great White North and missed it. But we texted him lots of pictures! 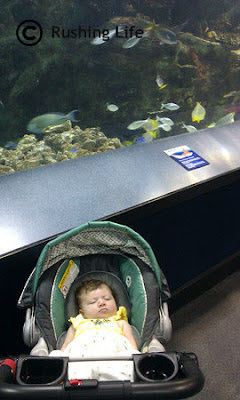 My dad also insisted on taking the baby to a nearby aquarium, which was pretty hilarious. A two month old doesn't really get the concept, but she was good and looked around a little bit in the tunnels. Of course her Papaw had to buy her some souvenirs too. So she has a cute little stuffed seahorse in her crib now and a t-shirt she can wear next summer! 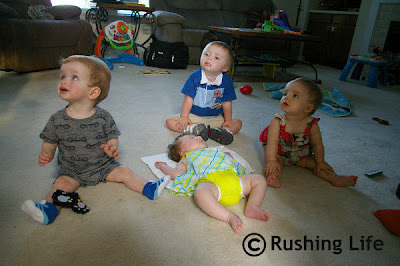 And we had a playdate with some of my friends and their babies. When I was going back and looking through these photos, I had to laugh when I noticed that Bimmer was passed out on the floor during the party. 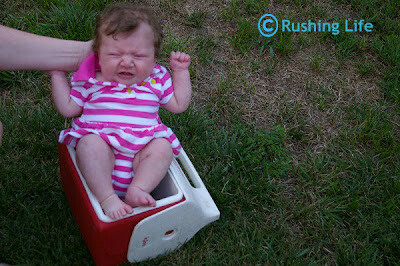 Definitely reminiscent of her mommy, HERE. By putting Bimmer in a cooler. 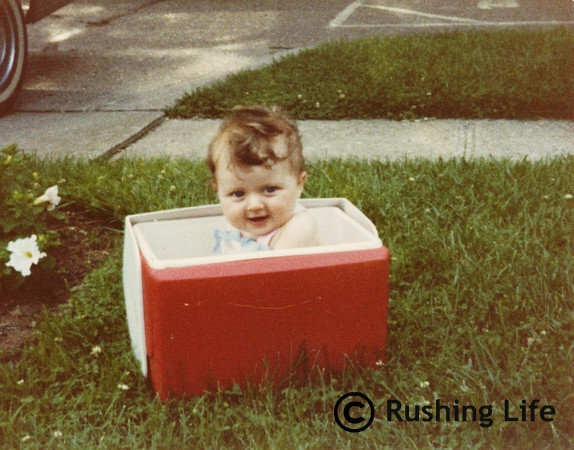 As you can see, we obviously had a much larger cooler back in 1982! All told, it was an awesome trip home and it really (reallyreallyreallyreally) made me anxious to move back to The Fort. I just wish the absolute best for Bimmer and want her to be surrounded by her family. The decision is on the backburner for right now, but trust me when I say I am constantly dropping not-so-subtle hints to Puff about the possibility of a move. Stay tuned! "Choice, not chance, determines destiny."